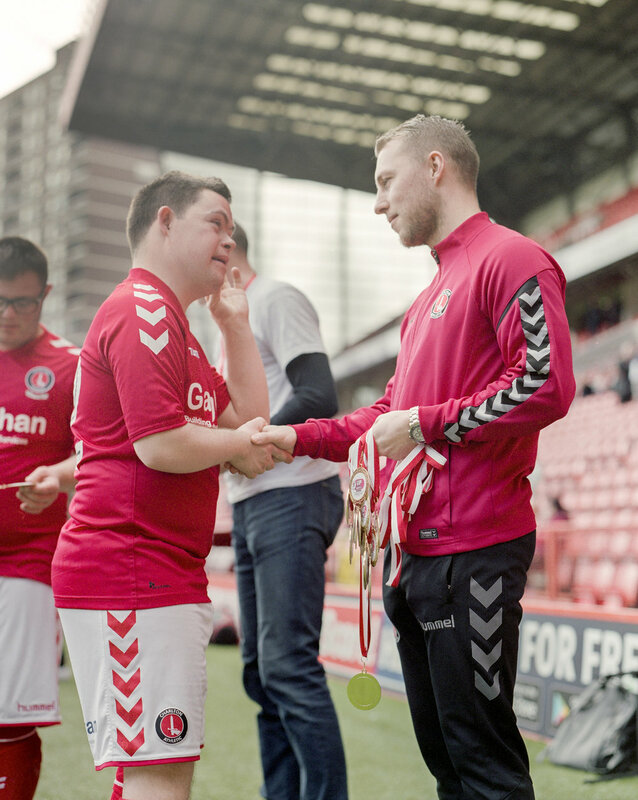 The Charlton Upbeats Down’s Syndrome football team is part of a programme run by Charlton Athletic Community Trust (CACT) which provides regular activities for adults, young people and children with Down's syndrome. The programme does incredible work and has greatly reduced isolation for both those who attend and their families. The friendships the Upbeats have built between each other as a team and indeed the love that they have for the beautiful game is truly amazing to see, displaying firsthand the incredibly positive influence football can have for so many people and their local communities. To mark their 10 year anniversary, The Upbeats met walkers in Greenwich Park with a pit-stop of water, sweets and bundles of enthusiastic encouragement, before heading to The Valley for their annual Upbeats day with matches against a Norwich City Community Sports Foundation DS team, an Albion In The Community DS side and a combined line-up ending in 3-1, 3-0 and 3-1 wins. 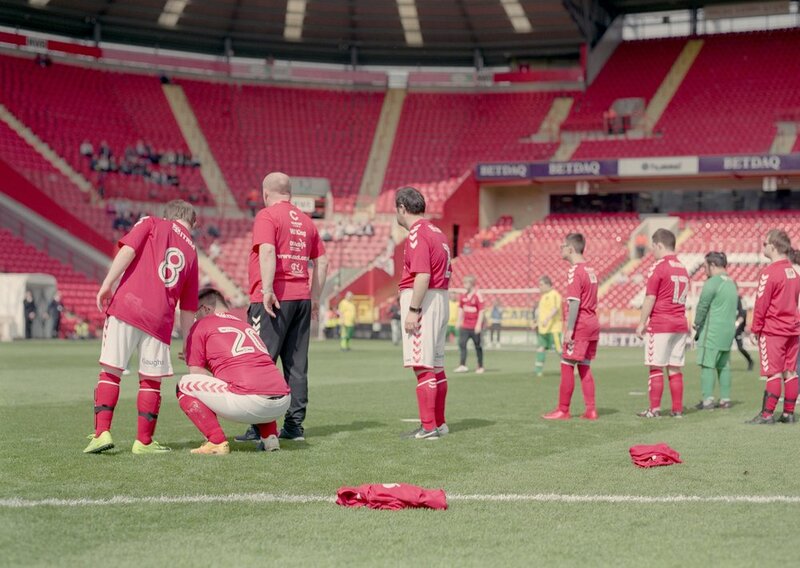 The project is fully-funded from donations with the Charlton supporters raising over £27,000 alone at the annual event in April. Photographer Tom Willis captured the essence of the event. Not content with winning their annual event, The Charlton Upbeats have since been crowned national champions for the fifth time after winning the DSActive National Tournament for people with Down's Syndrome. 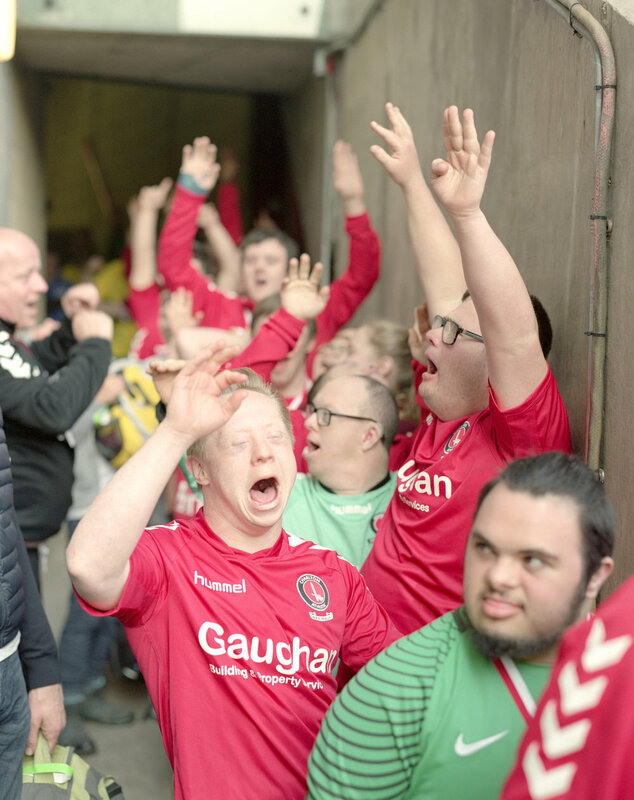 The tournament is the flagship event for Down’s syndrome football across the country, with the Upbeats showcasing their skills, inclusion and friendships made as part of the Charlton Upbeats programme delivered by CACT.